When Vesturfarar was conceived, it was for an Icelandic audience. However, this ten part series on the descendants of Icelandic settlers in Western Canada has won over a North American audience. Before it was finished, Canadians and Americans were asking that English subtitles replace the Icelandic subtitles and the series be made available for purchase. The series begins in Iceland at the immigration museums. All the dialogue in Episode 1 is in Icelandic. However, the following nine episodes have large amounts of English with Icelandic subtitles. Because of the visual narration with photographs and film clips from both the past and the present, even a non-Icelandic speaker is able to understand the events. I’ve watched the series twice now and have had little difficulty following the story line as Egill Helgason, the TV host, travels around New Iceland and then to Winnipeg, North Dakota and Markerville, Alberta and, finally, the West Coast. When the first Icelandic settlers came to what became New Iceland on the shores of Lake Winnipeg, the land was inhospitable. They had intended to land at the Whitemud River (Icelandic River) thirty miles north of the sandbar where they were forced to land their barges because the steamboat towing them cut them loose. They drifted onto a spit of land open to the winter wind with the lake in front of them and a large lagoon behind. The land was not suitable for farming or raising cattle. A second group arrived in 1876. Within two years, many of the settlers had left looking for better land and employment. That pattern of Icelandic immigrants arriving, staying for a time, then moving West looking for greater opportunities has continued to the present day. Appropriately, Vesturfarar begins in New Iceland. 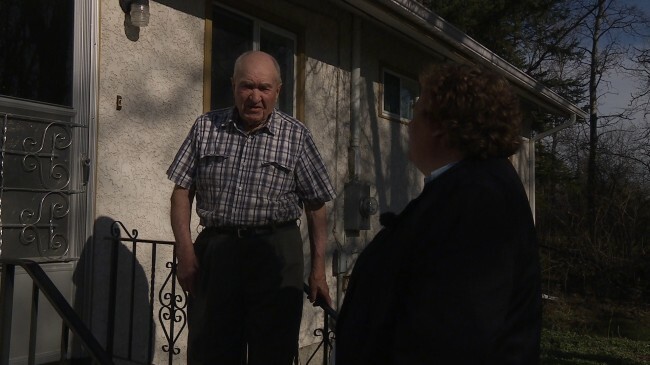 In the Gimli episode, there are some nice moments with people like Robert Kristjanson, fisherman; Lorna Tergesen, proprietor of the historic Tergesen’s general store and bookstore. The finest moment, though, has to belong to the interview with Oli Narfason. He has a fine voice and he plays an accordion brought from Iceland over a hundred years ago while he sings in Icelandic. The show has two episodes set in Arborg, a farming community with a strong Icelandic heritage. Rosalind and Einar Vigfusson are pillars of that heritage, with Rosalind training a young people’s Icelandic choir for many years. Einar is famous for his wood carvings of birds. Perhaps the finest moment in these two episodes is David Gislason, farmer-poet in the old Icelandic tradition, reciting Guttormur Guttormson’s poem “Sandy Bar” as he stands at Betty Ramse’s grave. In the Riverton episode, numerous people are interviewed but the most telling moment is when David Gislason and Bragi Simundson sing Lækjar Vísur, a poem sung in a harmony using fifth intervals. The focus on Nelson Gerrard and his decades of work preserving the Icelandic immigrant heritage is so impressive I hope it will bring him some of the recognition he deserves. On Hecla, Maxine Ingalls story of the eighty-five year old teacher who has escaped from a nursing home is delightful. Maxine’s passion for the island where she grew up shines through. 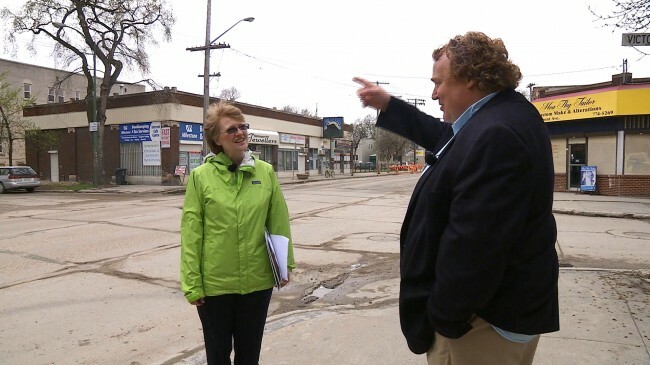 In the first Winnipeg episode, Stefan Jonasson, the Unitarian minister, does a great job of taking Egill on a tour through various parts of Winnipeg, including the oldest sections where the Icelanders first settled. He explains about Shanty Town and Point Douglas. The highlight, though, has to be the interview with the IODE club. Always an anomaly, the members of the Icelandic Imperial Order of the Daughters of the Empire are charming, thrilled to be included and it is an opportunity to show the books the club created about the armed forces members of Icelandic descent. Although Iceland never had an army, Icelanders in Canada joined the British army to fight at Batoche. Icelanders joined up in WWI and again in WWII in both Canada and the United States. The second episode, this time focused on West End Winnipeg (Goolie Town) where the Icelanders dominated the area around Victoria and Sargent, was led by Janis Olof Magnusson. She grew up in the West End. Her father taught at the famous Jon Bjarnason Academy and was a chess champion at a time that Winnipeg was a chess powerhouse. This intellectual side of the Icelandic community was very important but seems, over the years, to have been forgotten and replaced by the prestige of making money. It was nice to see Icelandic intellectual life being recognized. The search for good land led many Icelandic settlers to Mountain, North Dakota. A local poet, K. N . Julius, is much loved both in North America and in Iceland. He was a hard drinker, his poetry was often sarcastic, sometimes scatalogical, but it could also be tender. One of the most touching moments in the series is when Egill interviews Kristin Geir. She is 104 years old. She was a little girl when K.N. worked on her mother’s farm. He wrote a poem to her and as she recites the poem, it is hard not to shed a tear. There is a lovely photo of her as a child that is paired with a picture of K.N. From North Dakota, Egill went to Markerville, Alberta. In Markerville, the focus was on our most famous poet, Stephan G. Stephanson. His grandson, Stephan Benediktson, and other family members, described Stephan G’s life on the farm as he wrote his poems that made him famous. 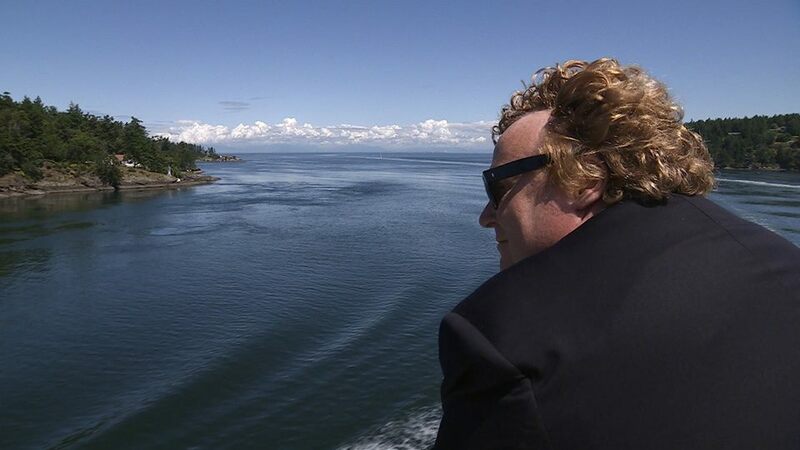 The last episode takes place in Vancouver, Victoria, and Point Roberts with a bow to Osland, BC. Two stories by Robert Asgeirson make this episode a must see. He tells about the consequences of only speaking Icelandic as a child and then of meeting Stephan G’s ghost while filming a documentary in Markerville. Fred Bjarnason takes Egill on a tour around Spring Ridge and tells the amusing story of Christian Sivertz swearing his oath to Canada on an Icelandic book of poetry instead of a Bible. There are, of course, numerous others interviewed and many fine moments. I think everyone did an excellent job of explaining, describing and performing. Much credit for that has to go to the interviewer, Egill Helgason. He puts people at ease. This series has been so successful in Iceland that the last episode was shown in a theatre. I’d like to have been there. I look forward to the version with English subtitles. I would like my children and grandchildren to see it. Although, because of lack of time, some places like Lundar or Selkirk or Brandon, or Vatnbygg, Sask., Blaine, Wa., were not represented, a tremendous amount has been packed into this series. What I have heard time and again is that people hope Egill and his crew return to fill in the gaps. Although this series was made for Icelanders, I found it highly instructive. I learned many things and met many people I did not know. Watch for the English version of Vesturfarar to go on sale. It’ll make a perfect Christmas gift. Pictures on display at today’s coffee reception. These pictures provide evidence that families like those of Wayne Johnson still exist locally and have the materials that will help create a permanent history of Icelanders on the West Coast. Just like the pioneers who started off in Iceland, traveled to North America, settled for a time, at least in New Iceland, then began the long, slow process of moving West looking for good land, Valgeir of Hofsos has come west. His friend Bob Fridriksson is with him. They aren’t looking for land but for stories, family histories, letters, artifacts, evidence of those who, like Árni Mýrdal, as a child, survived the small pox in New Iceland. The land in New Iceland was swampy and provided only marginal farming. Not until a drainage system was developed was some of the best land available for farming. As well, most of the land was covered in dense bush. His parents, like many other Icelandic settlers, moved again, this time south to Pembina. From there they went to Victoria. This might have been a final stop but like many people, he moved to Point Roberts. Victoria drew immigrants and a good sized community developed but then a small pox epidemic and a recession caused people to leave. The railway and government brochures promised the best land imaginable. For many immigrants, finding that land took years and endless moves. ‘Arni did not travel alone. His wife, Sigríður, traveled with him. Or they might try to find the descendants Pétur Ó. Hansen. Pétur emigrated in 1876 to Nova Scotia. Sive years later he moved to Winnipeg. From Wnnipeg to Hallson, North Dakota. He lived north of Hallson for 20 to 30 years. He then live din Mountain, North Dakota. In 1913 he moved to Blaine. His wife was Guðlaug Guðmundsdóttir. She came from Rangárvallarsýsla. They might find some descendants but it will be difficult because Guðlaug had three daughters so tracing their names may be impossible. Valgeir and Bob say that they are not going to tackle the job from the past to the present but from the present to the past. They´re going to track down the living and work backward toward the dead. It sounds like a good plan. That´s what Valgeir´s presentation was about today. The Icelanders of Victoria had a coffee reception for Valgeir Thorvaldsson and Thorhildur Bjarnadóttir today at the Tally Ho. Our president, Fred Bjarnason, is a chef at the Tally Ho and we get to use their banquet room. Having a chef for president has many advantages. Fred even made gluten free asta bollur for me. I ate four. What a great president! Twenty-two people turned up. Many of them I had not seen before. People like Susanna Helgason and Sian Hoff. They´ll be a great addition to our club. Valgeir showed slides about Hofsos and told us its history. It was his dream to have an immigration museum. This harbor that was very busy at one time had fallen into disuse. He showed us pictures of the houses. Many were wrecks. He began by salvaging a house that was historically important. It was built in 1772. That alone should get him a mention in the history books and a public service award for rescuing an important part of Iceland’s history. It has obviously been a struggle to get people to accept the importance of the project and to provide the necessary funding but Valgeir has prevailed. There were pictures of more restored buildings and new buildings. There were pictures of Valgeir with Vigdis. Someone in the audience pointed out that he was thinner then but so were we all. One difficulty that Valgeir will face is that many of us in the clubs have no family history on the West Coast. I, for example, grew up in Gimli. My family history there goes back to 1876. It is in the Gimli Saga. The other problem, as I mentioned, is the North American system of naming. Women who marry disappear. My son is Valgardson. My daughter is Hayman. How would anyone know about her Icelandic background? The other problem that I’ve noticed in my own research is that there are many references to Icelandic settlers or their immediate family leaving the Pacific North West and moving to California. It is obvious from the biography of Halldor Laxness, The Islander, by Halldór Guðmundsson, that a lot of Icelanders were drawn to Hollywood in the 1920s and 1930s. My grandmother, Blanche was a playwright and harbored dreams of writing movies. Although she lived in Gimli, she corresponded with an Icelander who had made a bit of a name for himself in the movies. Also, I know of an Icelandic actor in Winnipeg who moved on to Hollywood. It wasn´t just Laxness who hoped to make it big in Hollywood. There was an Icelander in Hollywood who was making a fortune in construction and provided Laxness with an apartment. The good side is that there are people whose families have been in Victoria for generations. They not only can provide their family histories but information about other families. Also, there are at least three important books. Icelanders of the Pacific West Coast from which I’ve taken my information about the early settlers. Ben Sizertz’s three volume tome on his father, mother and himself. The third book is Memories of Osland about the amazing but now forgotten Icelandic settlement on Hunter Island in the mouth of the Skeena. There are, of course, families with a long history on the West Coast. It is these people who may provide photographs, diaries, letters, anecdotes of life back through the generations. I wish Valgeir the best in this new search to find the forgotten Icelanders, those who moved West and West and West until they could move no further and settled to fish for salmon, or work in canning factories, or in the lumber industry, or raise sheep. It is the life of those of whom I sometimes write, those who left New Iceland for better land, greater opportunities, the same things that had caused them to leave Iceland, those who make up what I call the Icelandic Diaspora. Today, I went shopping. There were mounds of apples, corn, plums, cabbage, tomatoes, turnips, carrots at the market on Blenkinsop. It was a treasure house of food. Much of it is grown locally. I’m grateful. I’m grateful that the present isn’t the past. When I was a kid, stores didn’t have a cornucopia of exotic food—mangoes, papayas, red, yellow, green peppers—and even if they had, we couldn’t afford them. We ate a lot of local food. Bush rabbits were a favorite. A .22 shell cost half a cent. If we were a good shot, we only needed one .22 shell to kill a rabbit. Then we took it home with, hopefully, two or three others, and we skinned them, gutted them and gave them to our mother who made rabbit pie with carrots and turnips and gravy. We caught perch at the dock. My father was a commercial fisherman so we always had fish. We also ate a lot of ducks in the fall because the ducks got caught in the nets and drowned. My father sent boxes full of ducks. My mother and I sat on the back steps, plucked and cleaned them. We didn’t have the sense to just slit open the breast, take out the meat and throw the rest away. If my father was lucky at hunting, we ate venison. When my father and his uncle were trapped in their winter fish camp by an early breakup, they were down to some flour and lard. They had been trapping muskrats on the side so had traps in place. They started skinning and eating the muskrats. My father said they stood them up, heads still on, around the side of a pot of boiling water. He was pretty thin by the time he arrived home. Now, I go to the Blenkinsop store and buy ground lamb, chicken thighs, the occasional steak. I visit Fairways and buy lamb shoulder chops from New Zealand. Fairways is a local chain. It has large Chinese vegetable sections and aisles of ethnic food. There are things I’ve never eaten. Taro root, bitter melon, chicken feet. I believe the fresh green pod peas are flown in from China. My grandmother and mother grew peas in their garden. We sat on the steps shelling them into a large bowl. Once we ate them there were no more peas until the next summer. Nobody flew peas half-way around the world. We got some things it is impossible or nearly impossible to buy today. Icelandic skyr, a sort of yogurt but for the initiated, far superior. Blood sausage made locally when animals were slaughtered. Lifra pilsa, liver sausage. Friends of ours would sometimes bring the first milk a cow produced after a calf was born. It was considered healing for people who weren’t well. Most of these things, and others, disappeared with the disappearance of the small farms and dairies and the more stringent health rules. However, for all the things that have disappeared, there has been a cornucopia of food because of cheap transportation. Grapes in December. Unbelievable! Mangoes, not just one, but many kinds, all year long. I had never tasted a mango until my wife brought one home when we were first married. Today, I saw trays of something I didn’t recognize. They were trays of sweetgrass, organic, locally grown. What next, I thought. I bought some mushrooms. My mother never bought mushrooms. I don’t know if they were there to buy. Now, there are rows of mushrooms, brown, white, exotic, wild. I bought the white ones. They were on sale. My step-grandmother, Katherine, was a mushroom expert. With her advice, it was possible to pick the large white mushrooms in the cow pastures. I learned to pick those and to pick morels. The mushrooms could be hung up on strings across the ceiling of the kitchen. They were fall decorations. Here, on Vancouver Island, I used to pick chantrelles and oyster mushrooms. Now, I just put mushrooms into a brown bag in the grocery store. We made the most of what was available. Wild raspberries that grow well in old brush piles, high bush cranberries in swampy areas, wild plums, Saskatoons, wild strawberries (finicky little berries that were intensely flavorful), pin cherries, chokecherries. Here, I only pick blackberries. In the stores, for exorbitant prices, there are commercially grown raspberries, blackberries, strawberries. Still, expensive or not, they are available and there are worse things to spend your money on. We are blessed. High prices for food, or not. We live in abundance. So much so that we waste too much. My mother and grandmother, my step-grandmother, wasted nothing. Having enough food on the table for a family was a challenge. It required knowledge, skill, experience, work. When I sit down for supper at my daughter and son-in-law’s tomorrow evening, I will be grateful, not just for the food we will eat at that meal but for all the meals that I have eaten all year. 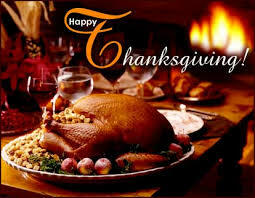 Thank you to the farmers, ranchers, orchardists, fishers who take big risks and who work hard to produce these meals. Blessings upon you. May the rain come for those who so desperately need it. May it stay dry for those who need it. May the storms over the water not be too fierce. May your prosper.